CBD Living Loose Leaf Teas are a convenient, delicious way to enjoy your daily dose of CBD. 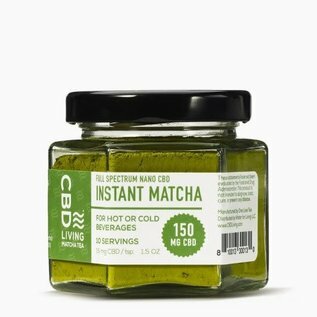 Each serving of Matcha Instant Green Tea is infused with 7.5mg of nano-CBD for maximum bioavailability. One 2oz. 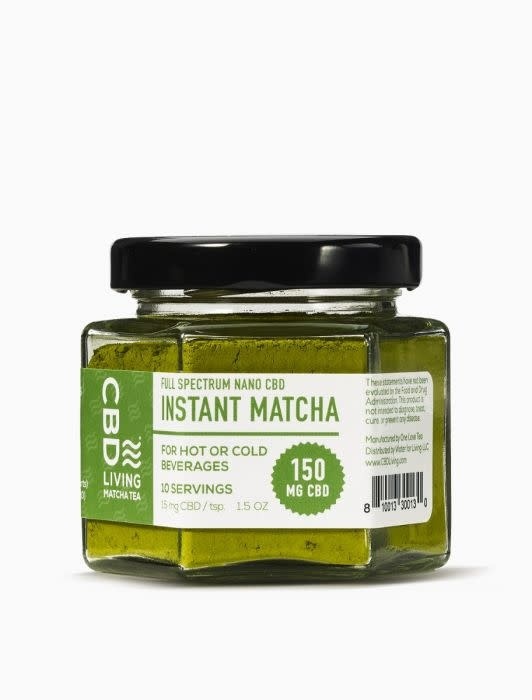 package of Matcha Instant Green Tea contains 150mg of CBD. Each individual serving of tea contains 7.5mg of CBD.